The underlying problem for the West is not Islamic fundamentalism. It is Islam, a different civilization whose people are convinced of the superiority of their culture and are obsessed with the inferiority of their power. The problem for Islam is not the CIA or the U.S. Department of Defense. It is the West, a different civilization whose people are convinced of the universality of their culture and believe that their superior, if declining, power imposes on them the obligation to extend that culture throughout the world. These are the basic ingredients that fuel conflict between Islam and the West. Sam Huntington died this past Wednesday (December 24) in a nursing facility near his home on Martha’s Vineyard. 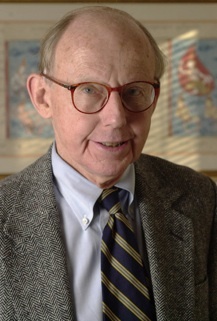 Among his many achievements and activities, he directed the (Weatherhead) Center for International Affairs from 1978 to 1989, and founded Harvard’s John M. Olin Institute for Strategic Studies, which he directed from 1989 to 1999. The Weatherhead Center has issued a statement comprised of an obituary, selected quotes from his work, first reactions to his passing by Harvard faculty members, and his c.v. An obituary also appears in the Harvard Gazette.